When you go to the medical doctor’s office with a problem, you know it’s likely that you’re going to walk out with medication. Though it may make you feel better temporarily, the issue is that it only covers your symptoms rather than addressing what’s causing them. At Health First Family Chiropractic, that’s what makes us different. We’re set apart by our multidisciplinary approach utilizing an array of solutions for comprehensive treatments. 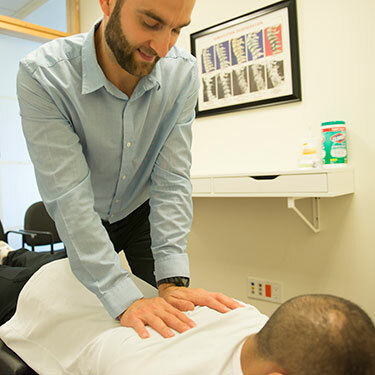 We’ve developed specific protocols to address issues such as neck pain, back pain, hip pain, sciatica, shoulder pain and headaches. We take a detailed examination to understand how your body is functioning, then correct any imbalances present to restore your health according to the protocol that’s appropriate for you. We’ll discuss which of our techniques is best for you based on your situation. We offer hands-on methods such as Diversified (effective hands on approach), Thompson Drop Table (for those who need a little more movement), and for those who require a more gentle approach, we also offer Activator® tool adjusting. Please note that there can be some soreness following your treatment which can be iced. We’ll gently ease you into care to ensure that your body doesn’t become overstimulated. Are you ready to book your first appointment? Contact our team today! Insurance can be used for your visits with us.